In keeping with tradition, the brewer lets out a scream when the legendary Norwegian yeast called Kveik is applied. Why? Here is your answer – with the pleasant smell of Cashmere, Citra and Mosaic hops. 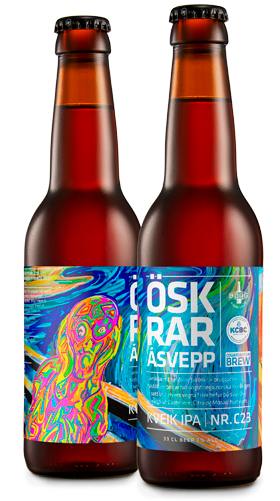 In collaboration with Kings County Brewers Collective and a magnificent homage by Arnar Snær Davíðsson to Munch’s infintie scream of the sunset.